• Cockroaches have been around since the time of dinosaurs! • A cockroach can live almost a month without food. 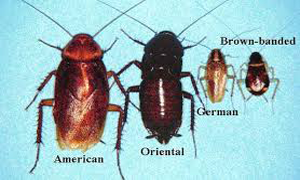 • A cockroach can live about two weeks without water. • Some female cockroaches only mate once and stay pregnant for life! • A cockroach can live for up to one week without its head! • Cockroaches can hold their breath for up to 40 minutes! • Cockroaches can run up to 3 miles an hour. • There are more than 12,000 species of ants all over the world. • An ant can lift 20 times its own body weight. If a second grader was as strong as an ant, she would be able to pick up a car! • Some queen ants can live for many years and have millions of babies! • Ants don’t have ears. 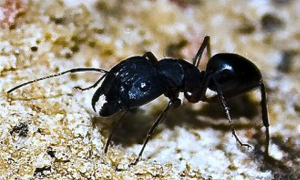 Ants "hear" by feeling vibrations in the ground through their feet. • When ants fight, it is usually to the death! • When foraging, ants leave a pheromone trail so that they know where they’ve been. • Queen ants have wings, which they shed when they start a new nest. • Ants don’t have lungs. Oxygen enters through tiny holes all over the body and carbon dioxide leaves through the same holes. • When the queen of the colony dies, the colony can only survive a few months. Queens are rarely replaced and the workers are not able to reproduce.